Today in Masonic History William DeWolf Hopper passed away in 1935. William DeWolf Hopper was an American entertainer. Hopper was born on March 30th, 1858 as William D'Wolf Hopper in New York City, New York. His father was a wealthy Quaker lawyer and his parents expected him to follow in his father's footsteps. Practicing the law had no appeal for Hopper. Growing up he had various nicknames including the obvious Will, Willie and Wolfie. When he went into show business, Hopper decided to adopt his more distinguished middle name D'Wolf. His name was constantly being pronounced Dwolf instead of the DeWolf, so he changed the spelling of his name as well. Hopper made his stage debut October 2nd, 1878 in New Haven, Connecticut. He wanted to be a dramatic actor, unfortunately being 6' 5" tall and 230 pounds those roles were hard to come by. He possessed a strong bass singing voice and began making his mark in musicals. It was in 1885 that he finally became the leading man in The Black Hussar. He would go on to appear in more than thirty Broadway musicals. 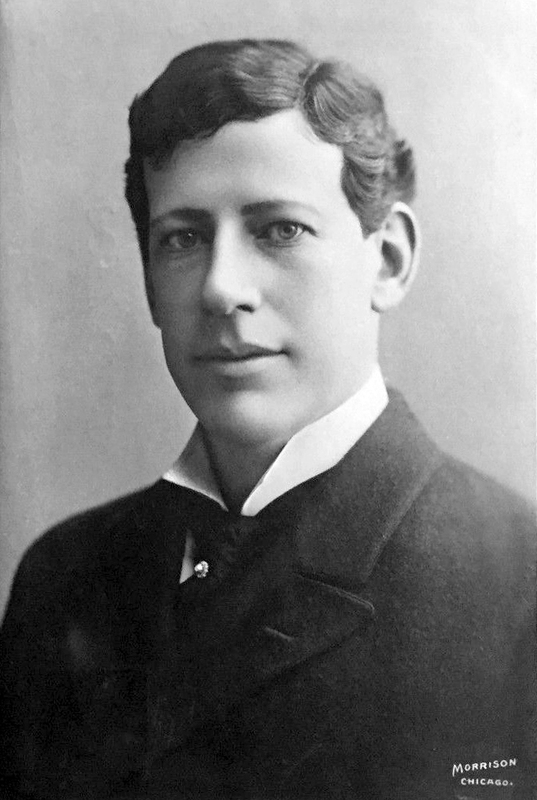 He also appeared in several Gilbert and Sullivan plays from 1911 to 1915. Those plays included The Mikado, Patience, and H.M.S. Pinafore. Hopper was an enthusiastic baseball fan, especially when it came to the New York Giants. He began organizing games for actors, and by 1886 it had became a regular event. Hopper even turned it into a charity event, with several years putting on benefit ball games for members of the theatre community. In 1888, Hopper had his most notable connection to baseball. On August 14th, 1888, at a game between the New York Giants and the Chicago Cubs, Hopper recited the poem Casey at the Bat. A well known poem now, it was unknown in 1888. The game itself was note worthy because it was the end of Tim Keefe's 19 game winning streak. Keefe and Hopper were close friends. After his melodramatic recitation at the game, Hopper was called upon constantly to recite the poem. It is estimated that he performed the poem more than 10,000 times on radio, recordings and live performances. Hopper was such a fan of baseball that he and two of his colleagues developed a skit to perform during encores. The three actors would come on stage and pretend to playing baseball, one the pitcher, one the catcher and one of them at bat. The person at bat would hit the ball off stage and then pretend to run the bases by running off stage. He would return being pursued by the pitcher who would toss the ball to the catcher. The runner would "slide into home" and then they would ask the crowd for a ruling of whether the runner was safe. Hopper also appeared in a few silent movies and a couple of short sound films. Hopper suffered from various physical issues, he was bald from birth and his skin turned, permanently, to a bluish color due to a reaction to a medicine. Despite his physical shortcomings, Hopper was very popular with the ladies of the time. He was often in the company of young actresses. He was married six times and gained the nickname "The Husband of His Country." A popular anecdote about Hopper is that his favorite dessert was a "brown Beatty," a cobbler style dessert. His favorite restaurant did not serve it, but the owner made a deal with Hopper that the restaurant would offer it as a special and if Hopper could drum up enough interest in it, they would keep it on the menu. The night the restaurant served the dessert, Hopper went around to every table, introduced himself and urged patrons to order the "brown Beatty" for dessert. When Hopper finally sat down at his reserved table, he began ordering his meal. The climax of his order was a request for a double order of "brown Beatty", to which the waitress replied "I'm sorry, sir. We're fresh out." Hopper passed away on September 23rd, 1935 while in Kansas City, Missouri doing a radio show. Hopper was a member of Pacific Lodge No. 233 in New York City, New York. He was also a member of the Ancient Accepted Scottish Rite, Northern Masonic Jurisdiction and Mecca Shrine Temple Ancient Arabic Order of the Nobles of the Mystic Shrine, both were in New York City as well. Tolerance - A Cardinal Virtue?